Pyzo is a free and open source integrated development environment for Python. With the help of miniconda and anaconda you can manage your Python packages. You can also use it without any Python interpreter.Pyzo is written in Python 3 and uses the Qt widget toolkit. It comes with 2 main components, the editor and the shell. And also supports powerful introspection and allows various ways to interactively run code. It is available for linux, mac os and windows. Some other features are shortcut editor, Qt themes, Unicode support, magic commands, auto indentation, syntax highlighting and breakpoints for debugging. Open your terminal app, and run the below command. Type your ubuntu password. Then run the below command. Pyzo runs on Python 3 and needs PyQt4. Then type y and hit enter to confirm the installation. Then run the below command to install Pyzo Python IDE on your Ubuntu system. 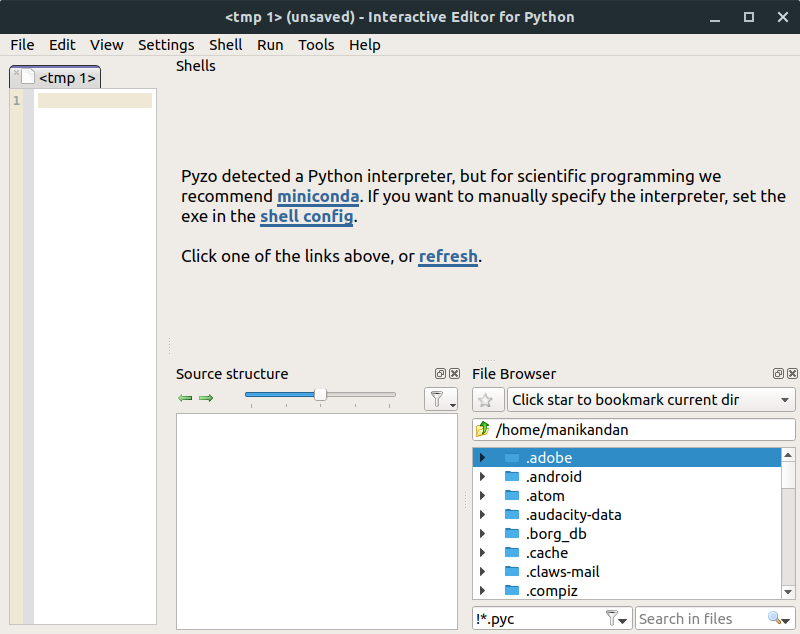 After the installation of Pyzo Python IDE, type the below command and press the enter to run Pyzo IDE.